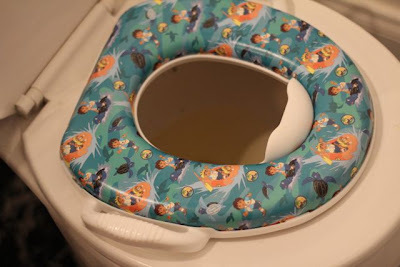 Women on a Mission: Mom Edition: POTTY TRAINING…STEP 1 COMPLETE! 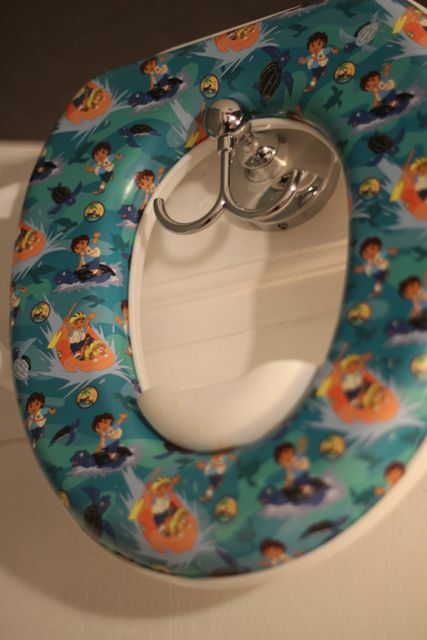 It arrived today….the toilet insert potty seat. And guess what…it was FREE! That’s right…I had enough Pampers points to score the Diego potty insert for FREE! I thought I might have better luck going this route, because this is what the daycare uses. It came….Mur-Man sat on it. And of course, did nothing. I let it go. And then it was tubby time. He sat on it and nothing happened. Then he went into the tub and said he needed to get out and go potty. Again..nothing happened. 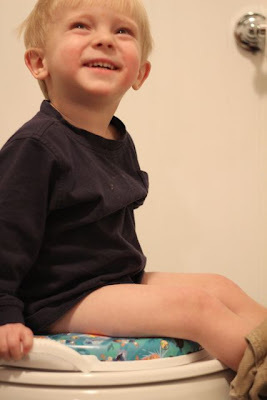 Seems happy to sit on the big boy toilet. But the third time was the ticket. He asked to get out of the tub and a few minutes later I heard a tinkle. He did it. 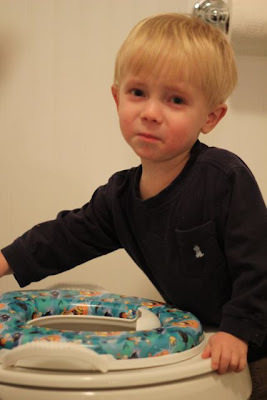 He peed in the toilet! And we had a MAJOR CELEBRATION! Major accomplishment…Now we have to keep going.